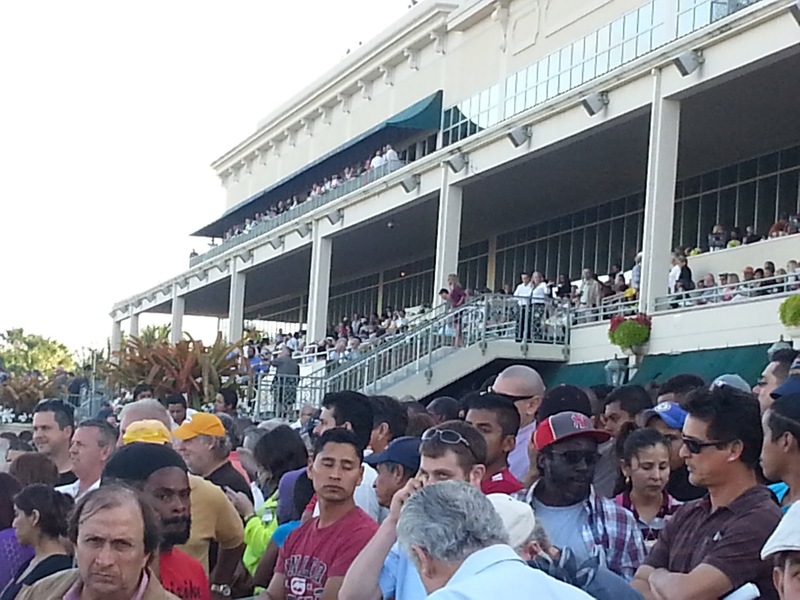 Thoroughbred Racing may be dead in Detroit, but it's alive and well in South Florida. Although you'd never see Pre-Kentucky Derby Races at the old Detroit Race Course (DRC) when it opened in 1950, closed down in 1998, only to be demolished in 1999 for commercial development, there was plenty of excitement during that era. There was one person at the 2013 Florida Derby, who attended a race at DRC on December 8, 1979. ESPN's Hank Goldberg remembers DRC as "being a speed favoring track and a lot of horses came down to the old Tropical Park which was located in South Miami. Horses that came from Detroit did well at Tropical Park because it was also a speed favoring track," Goldberg said. "It has sharp turns and a short stretch." Goldberg covered the Miami Dolphins from 1970-1992 and was in Detroit for a road game against the Lions. The Dolphins defeated the Lions 28-10 on Sunday, December 9, 1979 at the Pontiac Silverdome. He has been covering horse racing since 1974. Goldberg is currently employed by ESPN and has been there for 22 years. He covered the Triple Crown for three years for ABC Sports. You'll primarily find the 70-year old Goldberg covering mainly all major horse racing events, as well as his work with the NFL, predicting football games. Goldberg has been covering the Florida Derby since 1970. Gulfstream Park opened on February 1, 1939. The Florida Derby began in 1952 and the current track is 1 1/8 miles in circumference with a one mile backstretch chute. It holds 16,627 fans and the purse is currently set at $1 Million. How big is this race? Forty one starters have gone on to win a remarkable 56 Triple Crown Events. There have been 21 Kentucky Derby Winners, 19 Preakness Stakes Winners, and 16 have triumphed at the Belmont Stakes. Although horse racing isn't a mainstream sport, it does get it's exposure during the Early Spring leading up to the Kentucky Derby. This weekend, the Florida Derby shared the television airwaves with the NCAA Men's Basketball Tournament. I enjoyed covering My Third Florida Derby. I covered a pair working for the defunct Hallandale Digest in 1983 and 1984. I was at Gulfstream Park a lot because I used to write a lot of horse racing stories and had a good working relationship with former President Doug Donn. This place has drastically changed. A Casino, Restaurants and Retail Shops have been added thus Gulfstream Park remains busy all-year. I didn't even recognize this place when I came here a few weeks ago so I had to get a feel for the track again. 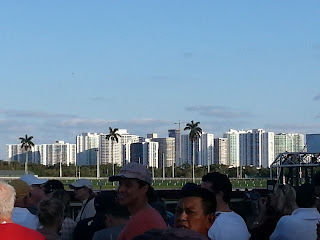 This is a beautiful track as high rise hotels and condominiums present a nice backdrop along with water in the infield to go with the palm trees which provides a nice tropical setting inside the busy city of Hallandale Beach. S-Croeso won the First Florida Derby I saw in 1983. Copelan finished second and Law Talk finished third. In 1984, Swale won My Second Florida Derby, Dr. Carter finished second and Darn That Alarm finished in third. Swale went on to win the 1984 Kentucky Derby. This Florida Derby was the 61st and Orb came away with the win and qualified for the Kentucky Derby. Itsmyluckyday finished second and will also compete on May 4, 2013. These two horses had the necessary points to make the field at Churchill Downs. Longshots Merit Man finished third and Narvaez finished fourth. Now the intrigue starts. Will Orb or Itsmyluckyday be the 22nd Kentucky Derby Winner to come from starters of the Florida Derby? Stay tuned. It will give us a gauge as to what to expect. I have noticed in South Florida and I wouldn't doubt if that trend is common around the country, Horse Tracks and Casinos indeed combine to be good venues for entertainment. 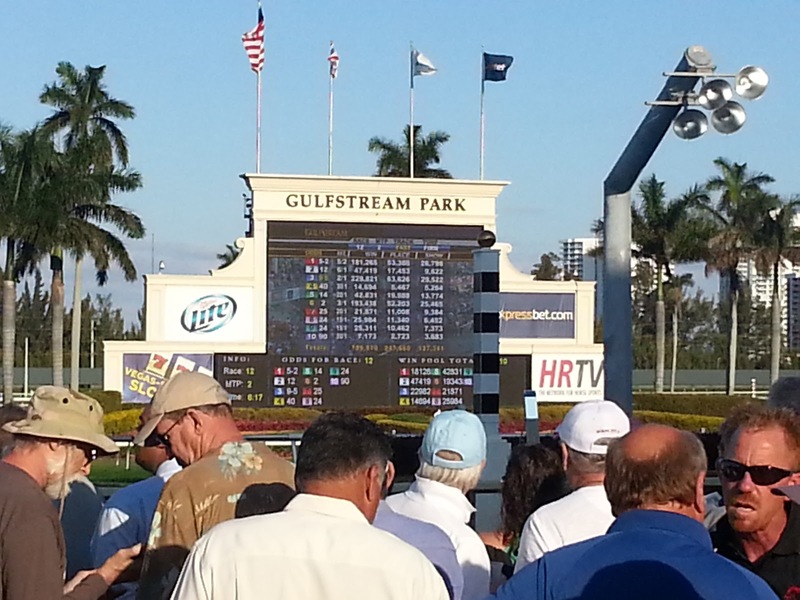 I'm real impressed with the development of Gulfstream Park. It's too bad that DRC never kept it's doors open to combine Horse Racing, Casino's and Gambling. Even the Hollywood Greyhound Dog Racing Track a mile a way is a useful form of entertainment. But in the Detroit Area, the four major sports are where the money goes. It's tough to compete with the Lions, Tigers, Red Wings and Pistons along with U-M and MSU. Scott Morganroth can be reached at scottsports33@aol.com. Candy Ebling also contributed to this story.